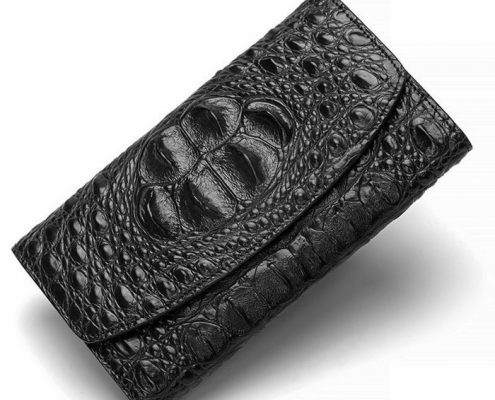 Colors of the Crocodile leather are mostly as dull as black, so does the crocodile leather wallet. 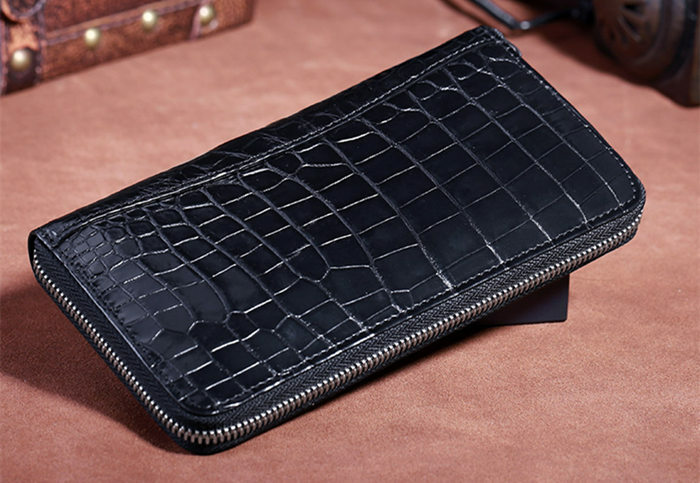 Compared with other leather wallets, the crocodile leather wallet is mainly in black, but there are other kinds of colors. 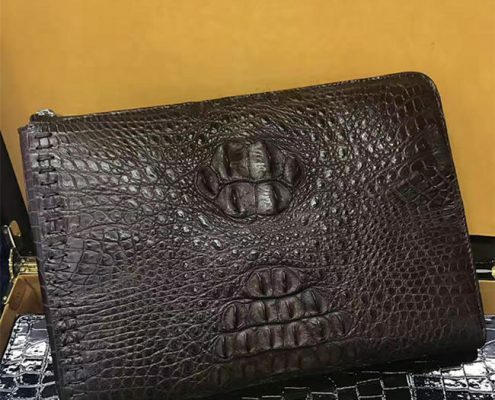 Which color of the crocodile wallet is fine? 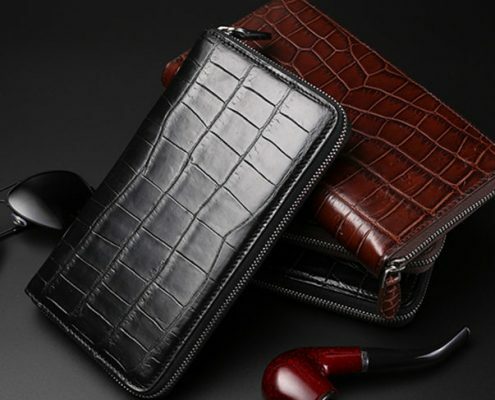 Black is most classic and suitable for everyone, accounting for more than half of the market of the crocodile leather wallet, which is not only because black is for all-purpose, but for the dignified color and the noble crocodile match well. If you don’t know how to choose, I suggest to buy the black one. That’s right. 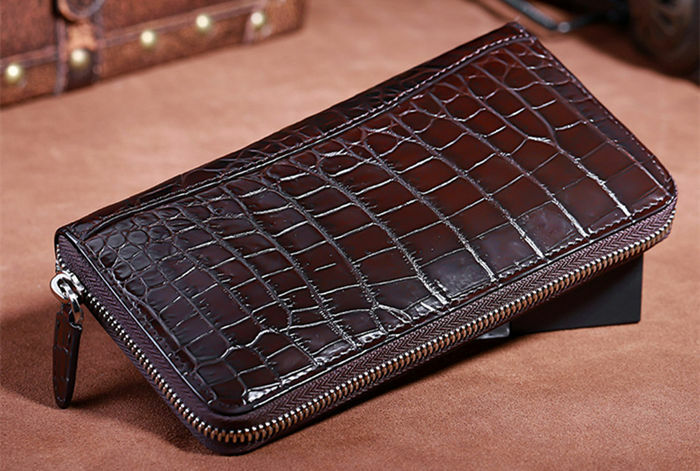 Dark brown is as serious and steady as black, but a little deeper and more natural than it, so dark brown is also a good choice for men’s crocodile leather wallet. 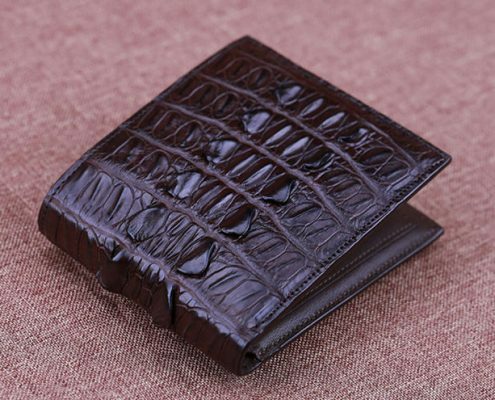 If you neither want to go with the stream nor to be dull and rigid, choosing a brown crocodile leather wallet is good! 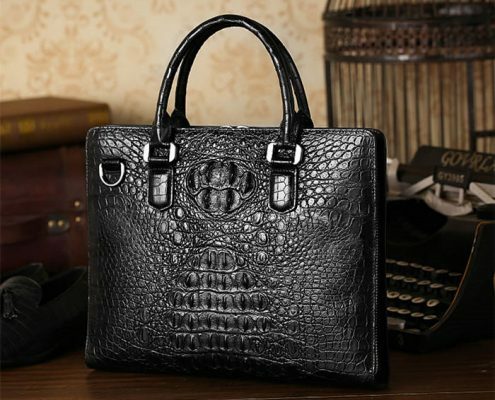 It is fashionable, elegant and noble. 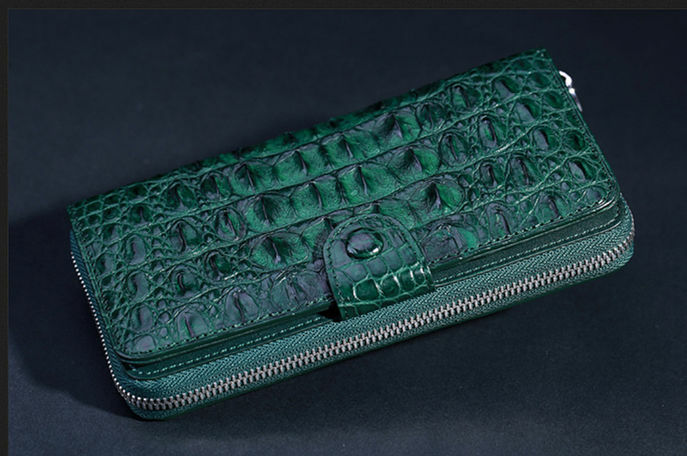 Crocodile leather wallet in green is fresh and clean; elegant and understated; retro and restrained, and the color suits to people of all ages, both young women and middle-aged women. 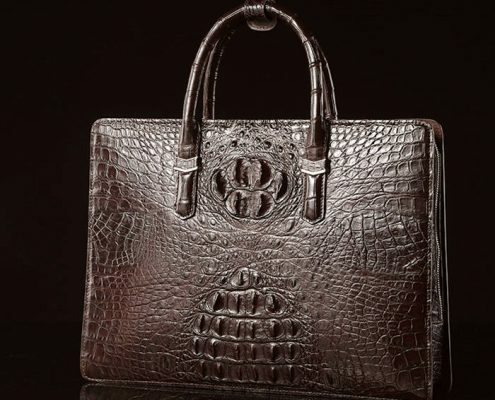 This color shows the female’s temperament, vitality and charm, especially for attending a party or the grand occasion. 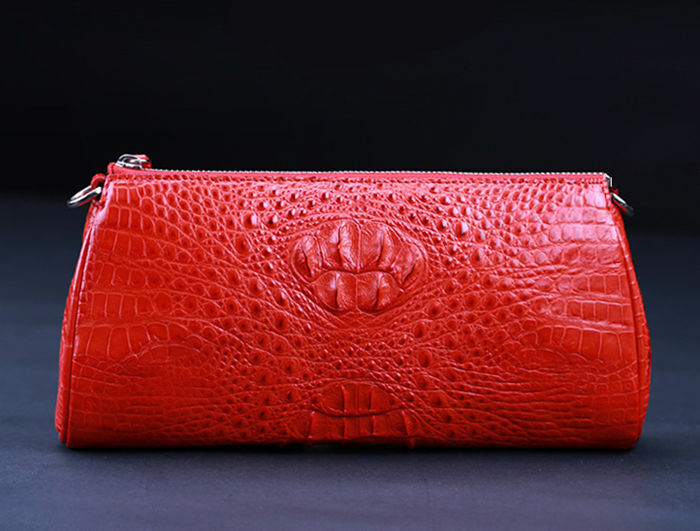 Rose red is shining, attractive and worth appreciating. 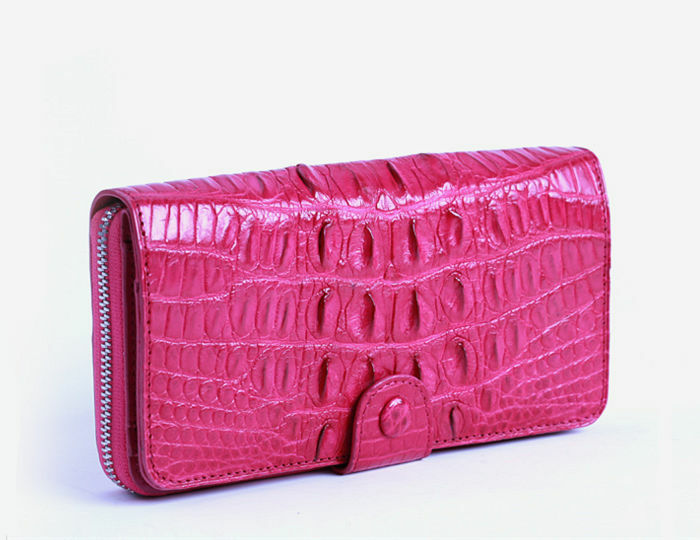 Peach is a kind of gentle and sweet color, with the symbol of flowers, so it is said that the pink crocodile leather wallet will not only make women attractive to men, but also bring good luck in career. 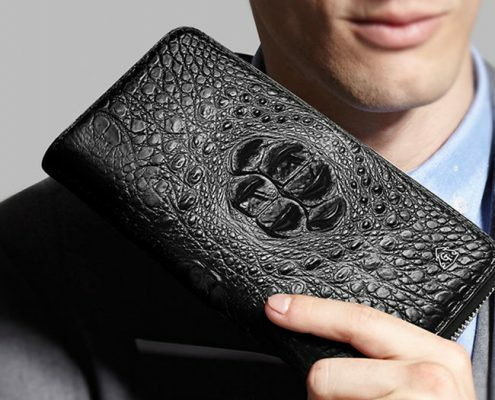 It couldn’t be better to send ladies the peach wallet. 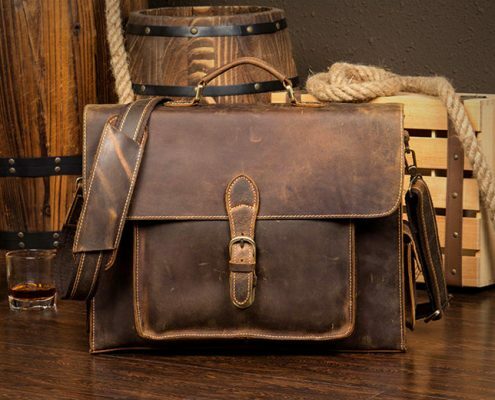 If you do not have a special preference, in order to avoid bankruptcy, you should avoid buying wallets in three colors: white, blue and red. 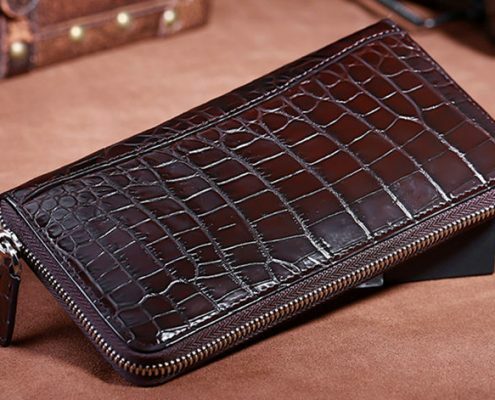 Their meanings are not good, which is bad for the savings, therefore, these colors of wallets are less in the market.